Can it be Garden Time Now Preaze? Am I above playing plant based dress up? No, definitely not. 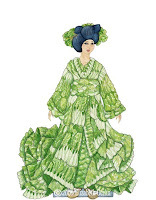 Check out these paper dolls from ElizabethOcean have a variety of fabulous outfits in vegetable themed prints. 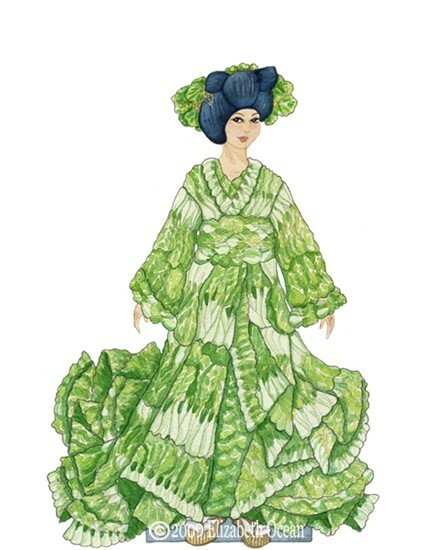 Seriously, like carrots, corn, and this garden geisha in bok choy. Delicious meets fashion, brilliant! 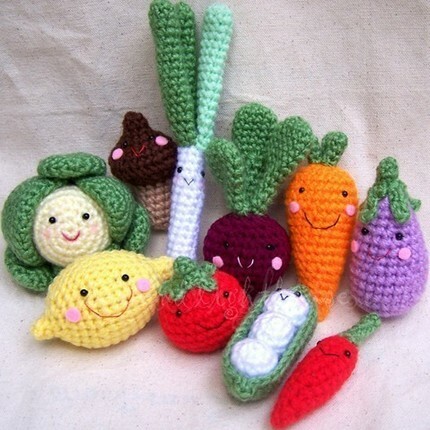 I guess some stir-crazy crafters would be making this sort of awesome amigarumi action. With this pattern from SeaAndLighthouse in Thailand you could create a cornucopia of cute! 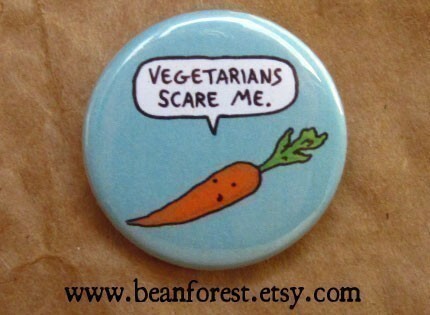 Vegetables so mind-numbingly sweet they make your teeth hurt, perfect for filling the veggie bowl in the off-season. 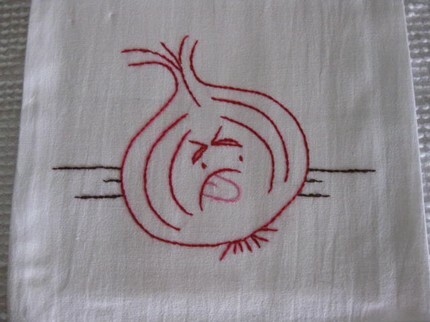 Cooked onions - awesome, raw onions - spawn of hell. Or, they make me do a face like this guy! 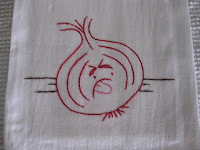 A red onion is just waiting for you to wipe your self all over him, just what CraftieLadie probably wanted. Perfect for hanging on an oven filled with fresh veggy-ful delights! Ever wonder who was the first to try and eat an artichoke? Boy am I glad they did tho... not only are they tastey, but very pretty. This print from FLYoungStudio is eye catching and well, it makes me a little hungry. 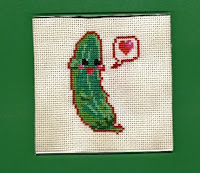 Perfect for a dining room or kitchen! Or one could always wear your garden geekery. 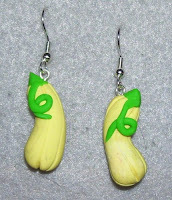 Cute little yellow squash from CraftedbyNan could be dangling on your neck! Good thing the squash in my garden grow to be a little longer, but never as good looking, and you couldn't hang them from your earlobes. 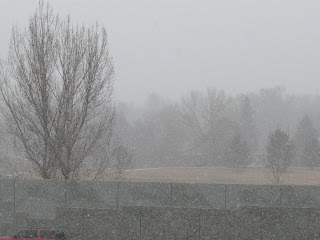 The weather as warmed again and melted the 7-8 inches of snow from last week. 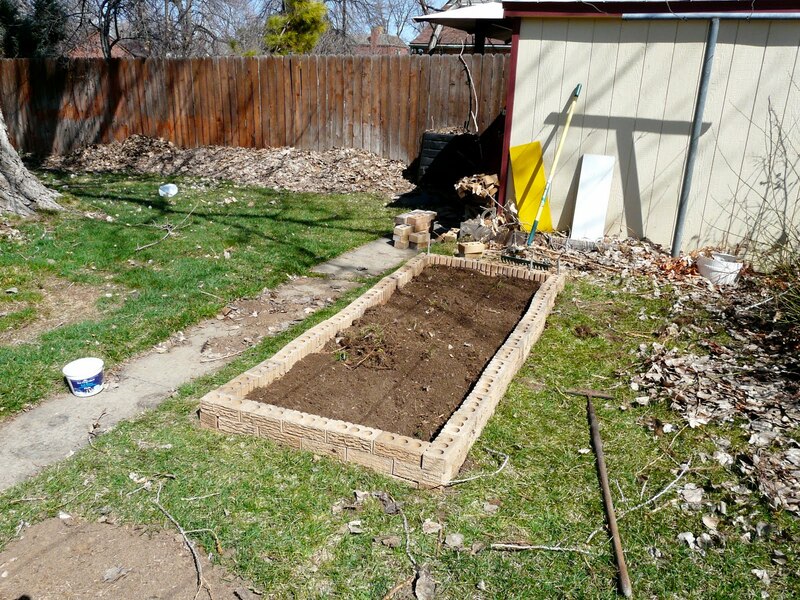 So I got back to work on the garden! I went to our local Habitat for Humanity outlet and got the remainders of a pallet of bricks (FYI, 280 or so bricks will make your suspension sag). 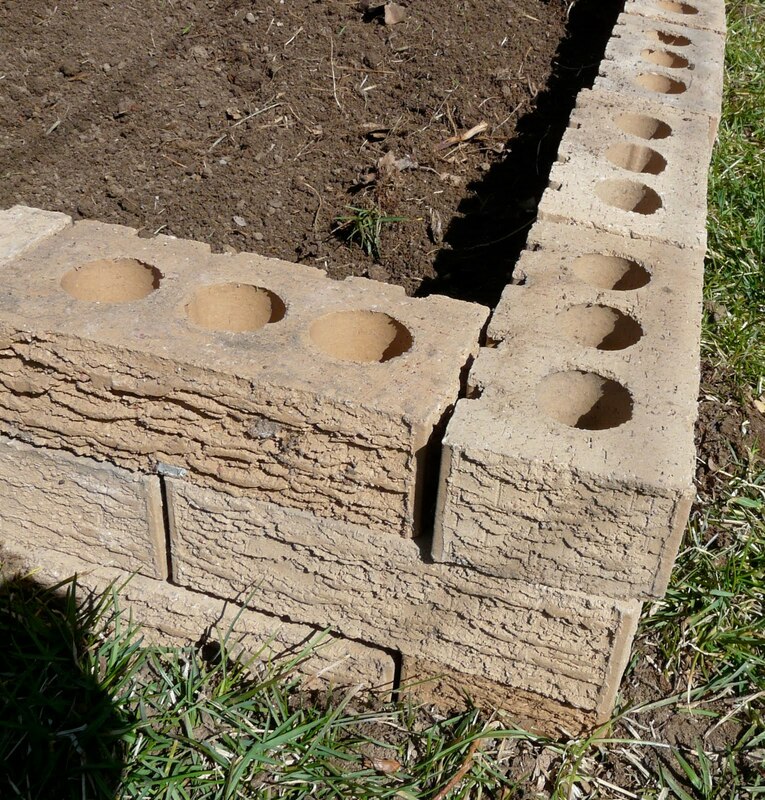 I had been wanting to get ones with holes in them so I can drive stakes through them in the corners to keep things sturdy. 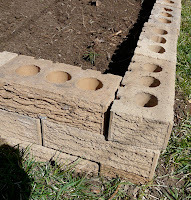 I need to fill the new beds with a good bit more soil to hit the top of the bricks. All of this is to make an awesome home for my tomatoes sprouts which are thriving in their mini green house! 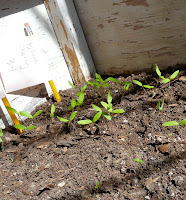 These are the oldest ones, the others are about 2 weeks behind and are just now getting their adult leaves (yes, the plants are my babies... which I bury outside and eat @. @) Come on summer! 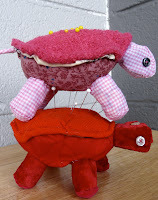 My scrap bag was overflowing, so I got out the hand sewing needles and got back into making turtle pincusions! 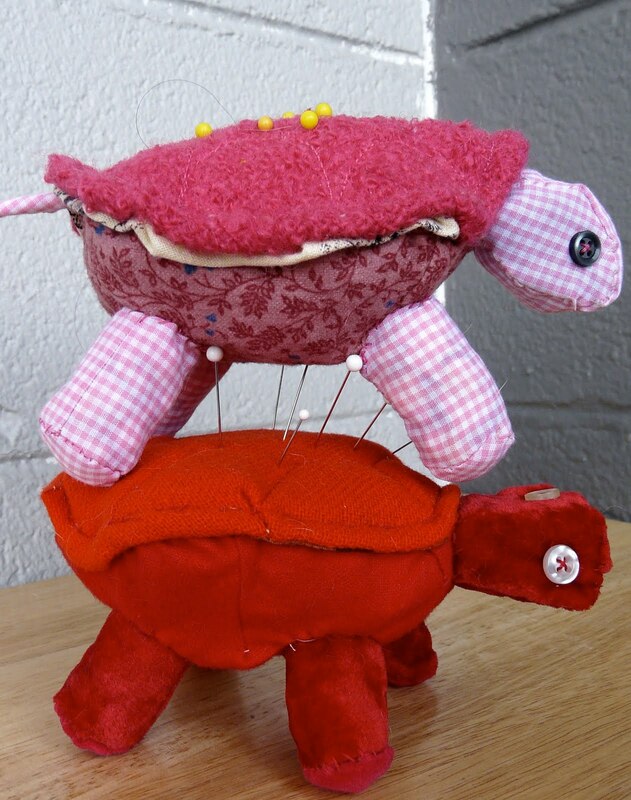 These cute little guys are stuffed with bits and pieces that were simply too small to be sewn, it makes them sturdy enough to be jabbed with pins, but squishy enough that you can even use them to hold a blunt darning needle. Cute enough for your crafting table? Go give em a look see, with more colors arriving all week! 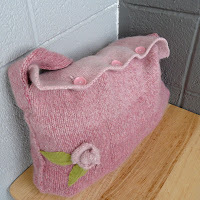 Those of us who like warm fuzzy woolens can wear them year round after all, summer sweaters if you will. Check out my Etsy Shop for some felted goodness. 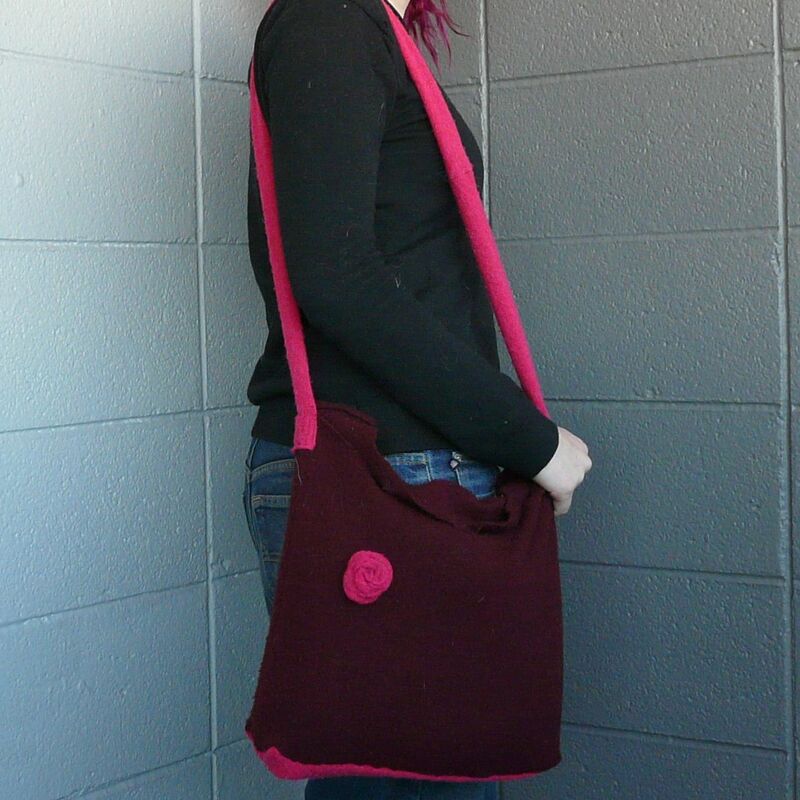 A local online journalist picked me for a feature in the Denver Examiner! Go check out this article on Examiner.com. We can go from 50F and sunny to freezing and this in less than 24 hours. Got to dig while you can! 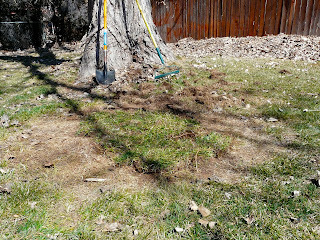 That weather is teasing me, so it's time to start yard work. "What yard?" you may ask. In May I will be moving out of my apartment and into a house my parents own. I got permission from Dad to do anything I wanted in the yard... muahaha! 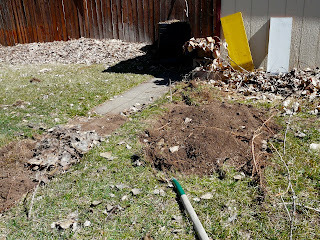 So I started digging my little garden plots in the back yard, I was moving the perfectly good sod from where I'm digging to a few spots where leaves were left in piles and killed the grass. Hopefully the transplant will take! And inside the house there is a sunny window with a green box on it, full of spindly little tomatoes starting to make there way in this world! 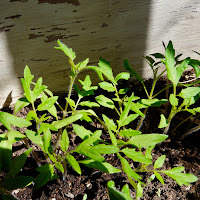 I planted some more tomatoes, as well as eggplants and peppers today. My mother is growing some different varieties in her basement so we can have some plant swaps. Nothing like getting dirty! Spring Means...Take the Fingers off those Gloves!! Like the look, but wanting to exercise the right to bear arms? (ouch, bad pun!) 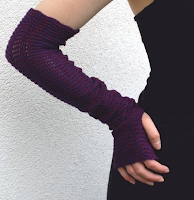 Here's some knit cuffs that have a little bit of gothic lacy flair, but just a little. 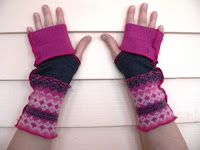 Loretari will send you these all the way from Lithuania just to keep your fingers warm while say, crafting or such. Isn't that nice of her? 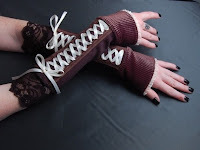 And here's the eco-friendly way to cover those scandalous wrists. 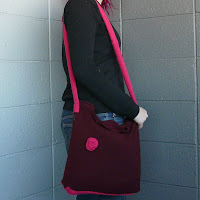 Woolen sweater bits in my favorite shades (bright pink! squee!) 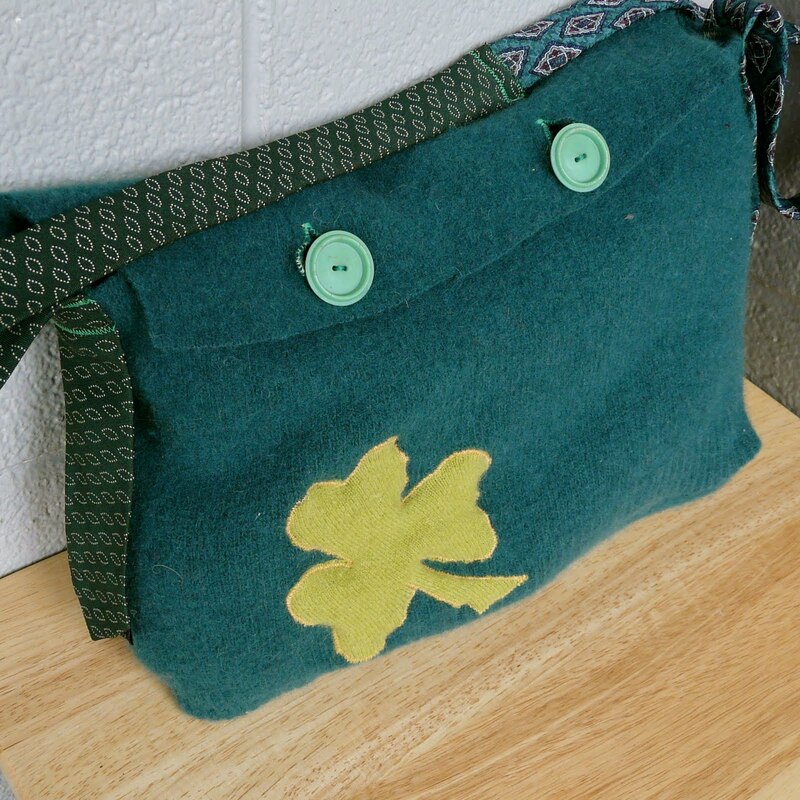 upcycled to become hand fuzzies. ThePaintedDaisy looks to have a grand collection of reclaimed sweaters that are finding new life, and that new life could be with you! 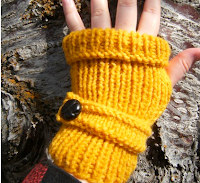 Since it's spring you'll want to add some bright colors to your wardrobe, like these goldeny yellow wristlets from Beatknits. The little strap and button make them much sharper than a simple cuff, and give them a sophisticated touch. 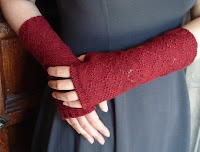 How about some hand-dyed warmth and softness, just right for keeping warm while typing? 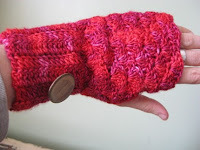 Awesome cute colorway meets adorable shell pattern in these mitts from HumbleHome. And why the button? Why not the button! If you had a huge button wouldn't you put it on your warm fuzzies? 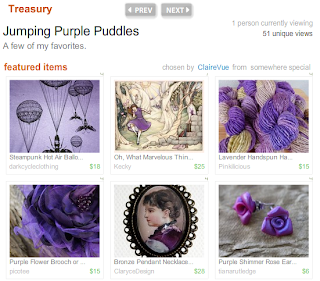 Another wonderful treasury in a lovely spring shade! 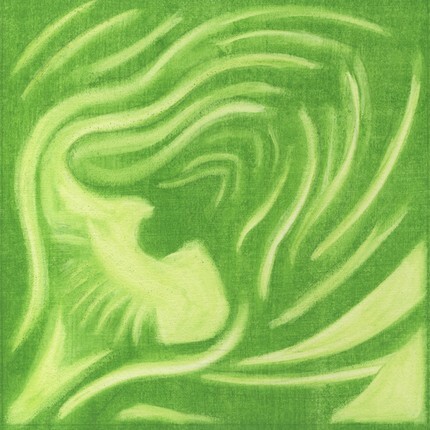 Thanks to ClaireVue, you can see it here. 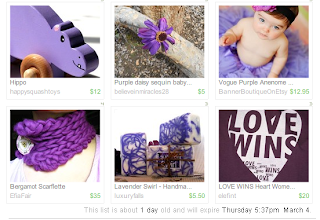 Go check it out and support some of the fabulous artisans!